What’s it really like to be an undocumented immigrant in East Texas? Today, they’re in the 20s and early 30s, and they live and work here legally thanks to an Obama-era program called DACA — Deferred Action for Childhood Arrivals. They’re teachers and nurses, grad students and thriving professionals. “It’s so, so important to me to give back to this community that’s given so much to me,” says one. A study from the Center for American Progress predicts Texas could lose $6 billion dollars a year if DACA were to end and folks like Elsa, Johnnatan, Orlando, and Leticia, the storytellers you’ll hear from in this series, were to leave the workforce. Meanwhile, Texas’s new so-called “show me your papers” law goes into effect on September 1st, requiring local police to act more like federal immigration agents when they stop or arrest undocumented citizens. This month, under a different program, seven deputy sheriffs in Smith County will be trained as immigration enforcement agents. That program also allows the sheriff’s office to operate Smith County Jail as an immigrant detention center. 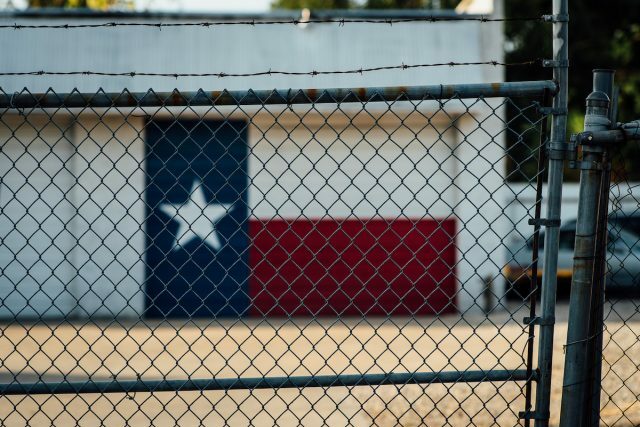 Some undocumented East Texans are asking themselves whether it’s safe to stay in their homes, or whether it’s time to “self-deport” to another state or even back to Mexico. Others are just keeping their heads down, focusing on their work and families, and hoping things will settle down soon. Check out the first installment of our series, the story of Elsa, a local kindergarten teacher whose oldest daughter is 10, almost exactly the age Elsa was when she and her mom traveled under the sun for seven days, sometimes without food or water, to leave Mexico behind and start a new life in Texas. When Elsa’s mom told her they had to leave, she promised they were headed to somewhere better. What promises can Elsa make to her own kids, if they go back? Read her story here.